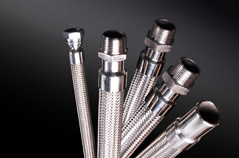 Singaflex Stainless Steel Flexible Hose is made from the finest quality stainless steel. 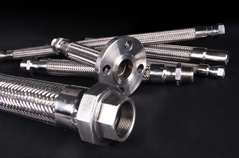 Our hose is a close pitch hose with a safety factor of 4:1, ranging from 6mm to 350mm, and a high working temperature range of -200°C to 700°C. The hose is designed to convey superheated steam, liquefied gases, and even petroleum and chemical products without affecting its flexibility, vibration absorption ability, and fire protection ability.